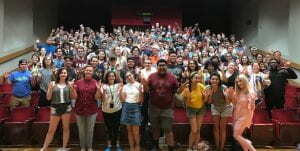 On Thursday, August 30, 123 incoming freshman and transfer music majors attended New Music Student Orientation in the Music Recital Hall, organized by Dr. Lynn Brinckmeyer, School of Music Associate Director. The new music students are given resources and advice on how to be successful. Students were introduced to student organizations, academic advisors, and service fraternities. They also got a few quick tips from Dr. Thomas Clark, School of Music Director, dubbed “Clark’s Rules for Musician Success” as well as health advice, like staying hydrated, sleeping enough and protecting their hearing. The next orientation will be on Wednesday, October 3. This entry was posted in alumni students faculty NEWS on August 31, 2018 by Thomas S. Clark. 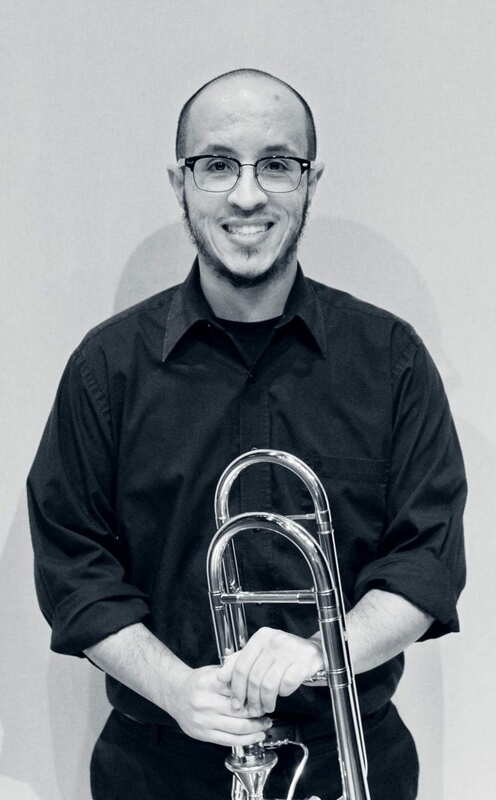 Jonah Bahta (MM ’14) has been appointed as an adjunct instructor of music at St. Phillip’s College. 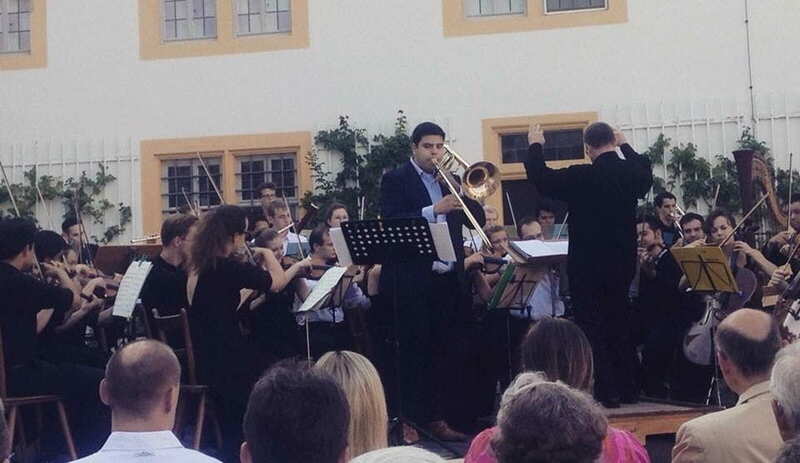 Eliud Garcia (BM ’15) was a featured soloist with the Collegium Musicum Orchestra in Germany where he performed the Vaughan-Williams Tuba Concerto on bass trombone. This entry was posted in alumni students faculty NEWS on August 24, 2018 by Thomas S. Clark. 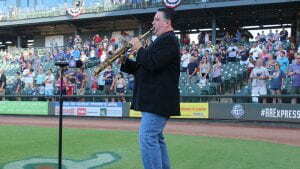 Todd Oxford performed the National Anthem for a Round Rock Express Baseball Game at Dell Diamond. 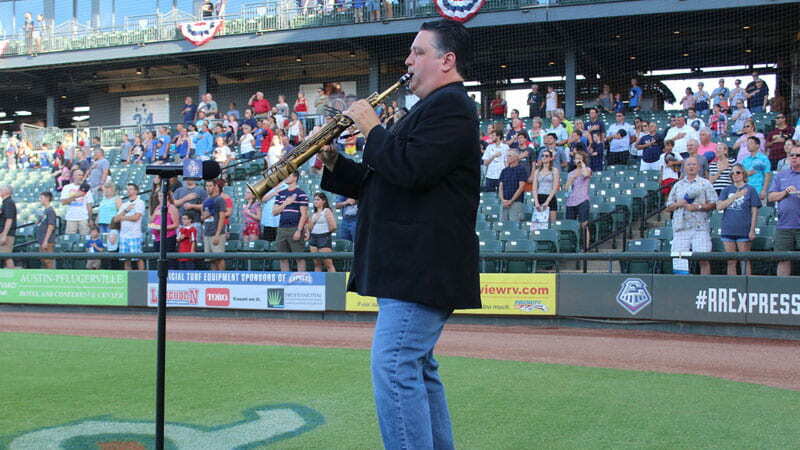 He performed: as Guest Soloist, Irving High School Wind Ensemble and Hurst Middle School Band. Oxford also performed with Duo 35 at the International Woodwind Duo Symposium. Sam Houston State University, Huntsville, Texas. He served as adjudicator for the ENKOR International Winds and Percussion Competition. 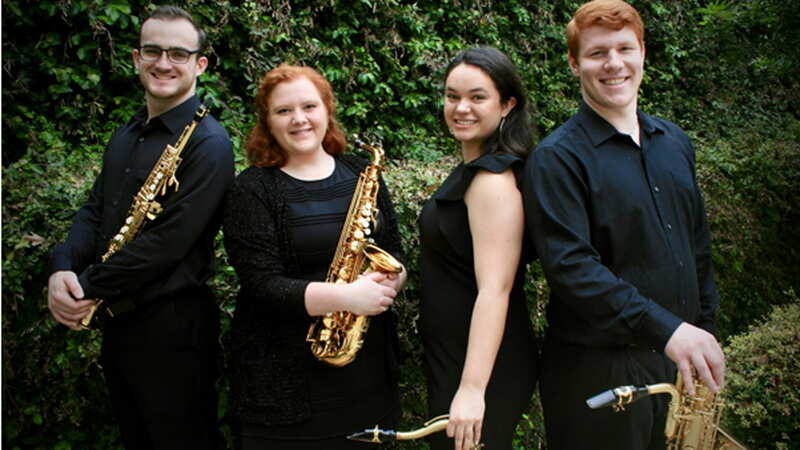 Düsseldorf, Germany, for the Annual University Interscholastic League Texas State Solo and Ensemble Competition in Austin, and gave a State Solo/Ensemble Saxophone workshop at Copperas Cove High School. Undergraduate student Kyle Jurovic, on international tour with Texas Mosaix, a professional cover/worship band in Valencia, Spain and surrounding cities, performed in concert venues, churches, and on the streets. Student Quartet Coy Reid, Katie Blalock, Lauren Gordon, and Colby Rodriguez were the featured performers for an art exhibit at The Meadows Center for Water and Environment. San Marcos, Texas. Recent graduate Tyler Clark was accepted for graduate study in Saxophone Performance at Baylor University. 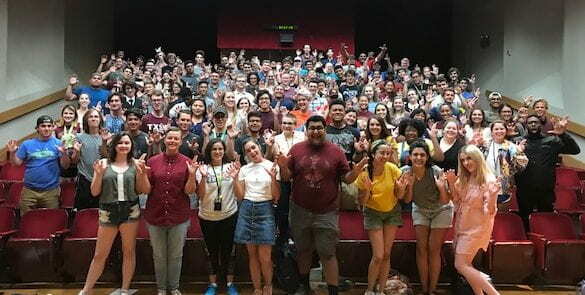 The Texas State University String Project has been awarded a National String Project Consortium (NSPC) – National Association of Music Merchants (NAMM) Foundation grant. One of five String Project sites across the country to receive funding, the TXST String Project will use this $3500 award over two years for TXST student intern-teacher wages and enable the purchase of equipment that will enhance their effectiveness and teacher education. This entry was posted in alumni students faculty NEWS and tagged National Association of Music Merchants (NAMM), National String Project Consortium (NSPC), String Project, Texas State University String Project on August 22, 2018 by Thomas S. Clark.